I can never think of this slogan without thinking about my sister, Tammi. When she was in third grade, she wore a button in her school picture that said, "It's Purple Martin Time" that she must have received from a guest speaker at school. She certainly didn't leave our house with it on! It makes me chuckle every time this time of year comes around. There is a lot of thought that goes into purple martin housing. We have always been lucky enough to have the housing already on location for us. We don't have a housing unit now, but there is one across the street from us. I like to make sure that the housing is clean and in good order by this time of the year. 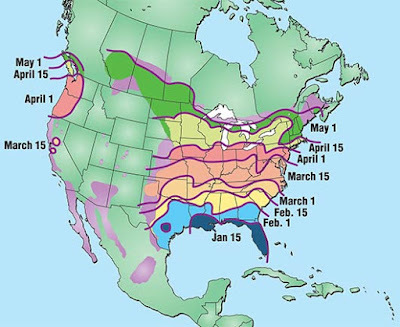 Why my interest in purple martins? Other than my sister's apparent love of the bird, Bob's uncle Amos (Steffes) loved purple martins. He believed they kept the mosquito population down (which is why I love them) and they are a very social bird. Amos was so funny about his purple martins and was always so interested in them that we became interested as well. So, clean your purple martin houses! Pull down the house unit. Scrape off any bird dodo. Mix up a 10% bleach and 90% water in a bucket. Scrub the inside of the house with the bleach and then rinse it out with the house. Let the house dry in the sun. Amos used to plug up the holes until he saw the martins come around, then he'd lower the housing and undo the plugs. Other birds will try to move it if you don't. Then enjoy those feisty birds as they eat up all the mosquitoes in your yard! Links in this post may be affiliate links If you make a purchase, it helps me to pay for the costs of this blog. I think it's absolutely adorable. It would be so nice to make housing for these cute birds. No doubt that a lot if thought goes into it as well. Very cool I have never heard of Purple Martins before! My son made his first bird house himself though and we need to put it up now that its spring! This is so cool! I think I've seen these birds at my dad's house in Wisconsin. I'm not sure if he did anything to attract them, though! I love this time of year since we get to explore all the pretty birds right outside our window. Bird watching can be so relaxing! This is so neat! My children would love to bird watch this summer. That's so cool! I've never been close to a Purple Martin. We are fortunate to spot a variety of birds in our yard though! Oh I remember my gramma having a house just for the martins! Maybe I should see if they will be in the area we're moving to! This is interesting information. I have seen the difference between having the Purple Martins around verses not having them. They do in fact keep mosquitoes at bay. aww these are beautiful! I've never heard of them before but I would love to get a house for the garden! This is so cool. I don't think we get purple martins here, but it would be so much fun to create a nice, clean and safe house for them. So interesting and how beautiful are these sweet birds. My kids and I love to watch the nests in our front tree. It looks a lot like a swift (that we have over here) though they're a lot more drab in colour. Your martin rally does look purple. I love the houses. Swifts build their own nests on the side of houses here. They're made of mud and swift spit! I haven't seen a purple martin before. Now I will be looking for one when I'm out! I think I've seen Purple Martin last year nesting in one of the trees in our backyard, both female and male. I'm sure they'll come back this year. The houses are so cute. How interesting to know of purple Martins! I think I have not seen the birds before in my area! Thanks for the incredible tips on how to clean their houses. This Purple Martin looks so adorable! The one thing that I love about the spring time is the return of the pretty birds. I don't know if a purple martin is common here where I live, but they would be a pleasure to see. I've never heard of these birds but it is such a nice idea to provide houses for them. I don't think this bird is common by us but I will keep an eye out for it this spring.